Spoiler alert! This softshell jacket will be your new favourite jacket. 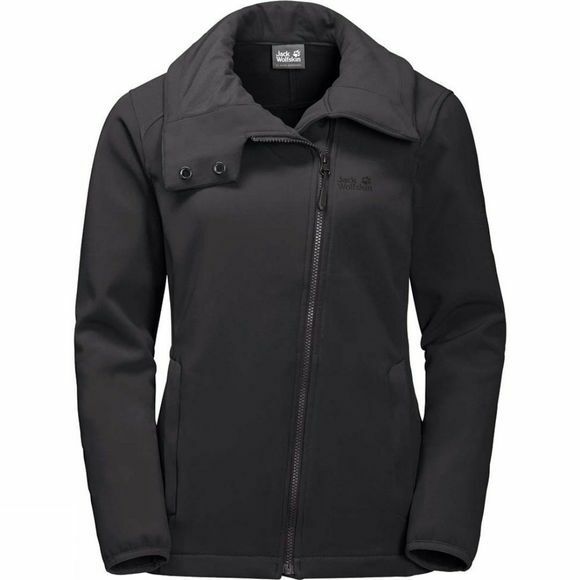 You can wear the Womens Element Valley Jacket from Jack Wolfskin any time, any place, anywhere: on its own or under a shell, in milder weather or the depths of winter, or on chilly summer evenings up in the mountains. It is as versatile and comfortable as only a softshell can be. When you're out hiking, you'll really appreciate the good breathability and stretch performance. And in colder weather, the microfleece reverse side will keep you warm and comfortable. The stylish, high collar gives added protection, especially when a cold wind is blowing.